Hegerty, a quiz master on ITV’s The Chase, managed 19 days in the jungle and struggled with its biting insects, heat and Bushtucker trials. 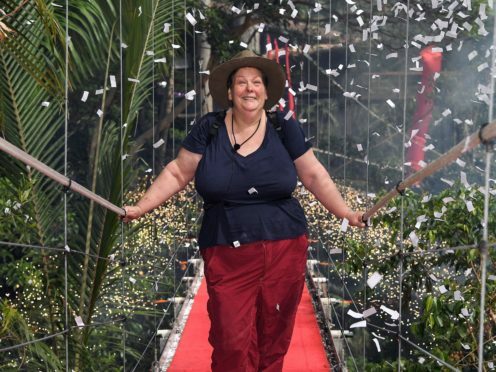 After saying her goodbyes, Hegerty joined Willoughby and Donnelly in the studio where she praised her fellow contestants for helping her struggle through life in the jungle. Hegerty follows Rita Simons, Noel Edmonds, Malique Thompson-Dwyer and Sair Khan in leaving the jungle. The 60-year-old, who has autism, also spoke of how her condition had made her time in the jungle more challenging. “If people understood, when you suddenly come up against a situation which you thought you had imagined it, and you hadn’t. Sometimes people say autism is a failure of imagination. We are not good at imagining outcomes. 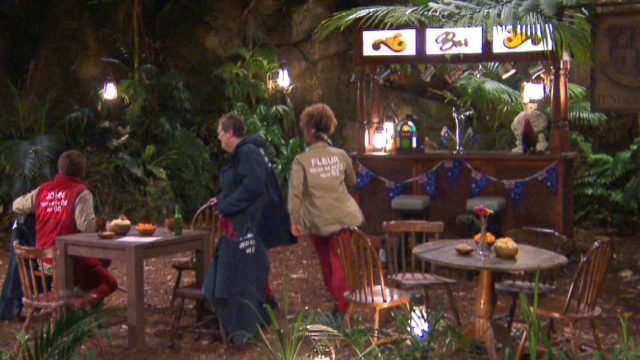 Earlier, the seven remaining contestants had faced buckets of insects to gain entry to the Jungle Arms, the reality show’s own makeshift pub where the camp members were rewarded with snacks, drinks and karaoke. 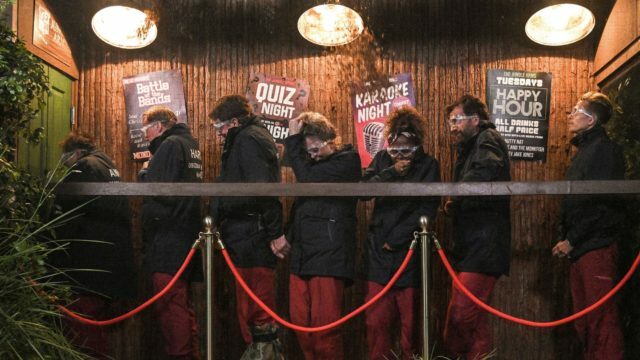 A fixture from previous series, entry to the Jungle Arms was not guaranteed and the remaining celebrities were forced to complete a challenge before walking through the door. After a day which saw John Barrowman rescued from a cage in the Rotten Retrieval Bushtucker Trial, the contestants were told to make their way into the jungle in search of the Jungle Arms. Forming a queue outside, the celebrities had to approach one by one before being confronted by the doorman, Kiosk Kev. They were challenged to answer his question and if they were wrong, the contestant would have to return to the back of the queue. The former football manager and Emily Atack were the last to gain entry after Redknapp answered wrongly and Atack was caught cheating, after Redknapp shouted the correct answer to her question. After the group had all gained entry, festivities began. Fleur East and James McVey sang and strummed a guitar before Redknapp stood to deliver a rousing rendition of Paul Anka’s My Way, made popular by Frank Sinatra. Barrowman and Atack took on Summer Nights from the musical Grease while Hegerty sang Mamma Mia by Abba. Led by East, the group sang Lean On Me by Bill Withers, and the evening concluded with Atack and East dancing to Uptown Funk by Mark Ronson featuring Bruno Mars. I’m A Celebrity … Get Me Out Of Here! continues on ITV.